Around the globe, people do things in different ways. That is why at Agostini Quality Translations we use only native speaker translators to perform Italian website translation services so that your website has a local “look and feel”. We adapt web sites and web pages for use in specific languages, countries and cultures. This process involves careful review of the current site, translation of the content, modification of the images and graphics, and, where necessary, modifications to the site architecture itself. The Italian translation of your website will be performed by a mother tongue translator. We provide Italian Language Translation services from and into English, as well as French, German, Russian and Chinese translations. In the last year Agostini Quality Translations carried out over 500 Website translations. 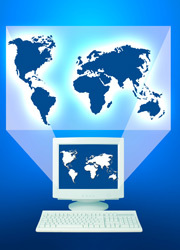 We can provide a complete Website localisation solution that enables your Web business to become more international. Make your Italian website perfect! Each our Italian translator has strong background in software localisation, CMS integration, user guides, and Website translation. This, together with our certified quality workflows (69,292 quality controls performed in the last year) are evidence of Agostini Quality Translations` high-level of expertise and professionalism in technology environments. We have translated the following websites from Italian into several languages: Altagamma, AIRC-Unicredit, Banca Intesa, Gazzetta dello Sport (Giro d`Italia 2013), RCS Media Group, Unicredit (Uninews), Vodafone and many more. Check our Website Language Translation useful tips. Are you valuating an Italian website translation? The economic downturn of the recent year has caused much trepidation. Despite the dreary economic conditions that the credit crunch has created, economic forecasts exhibit hope for some areas of the business world. Economic predictions suggest that online ad spending will increase by 10% in 2010. Although facing a slower growth rate than previous years, the Internet will become an integral communication medium for organizations and their respective marketing activities. In a recent study conducted by Forrester Research, the results indicate that the most successful discipline this year will be search marketing; where the United Kingdom, France and Germany will continue to dominate online advertising, with an estimated 66% of spending being present within those markets. Interestingly, a region that is expected to do well during these difficult economic conditions is that of the Middle East, which is expected to achieve an online ad growth of 25% to 35%, as marketers shift from print to online advertising in order to cope with the reduction of budgets. This trend is growing in most countries of the world including Italy. Thus, your Italian website is important.